"Baroque Bar, equipped with a very decent set of wine glasses and piles, will be an excellent filling of any bar of pubs. Surprisingly compact and graceful set of dishes, will come in handy in a limited space, significantly saving space on the shelves and tables. 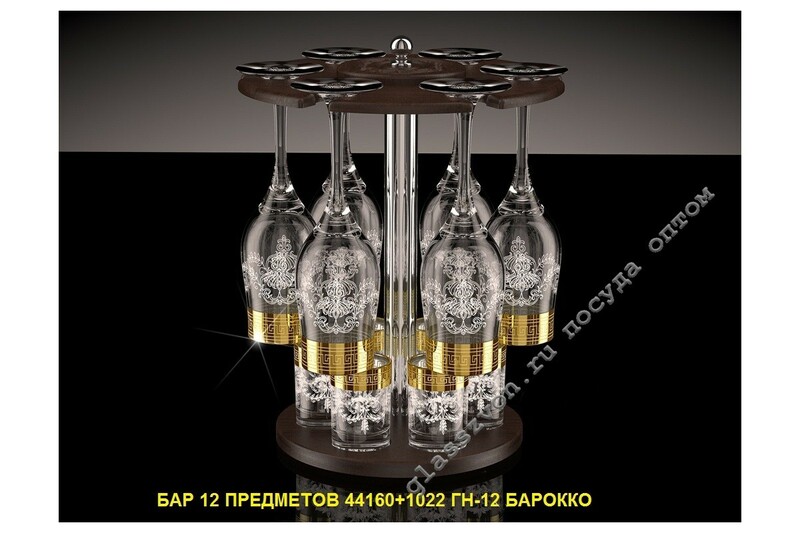 Bar consisting of 12 subjects goose-crystal, will allow you to make good money on the sale of goods. Delivery of kits is carried out by large-sized transport, which allows us to deliver goods in virtually any quantity. One wagon of bars is able to provide for a long time your warehouse with such necessary, and most importantly profitable to realization, goods. 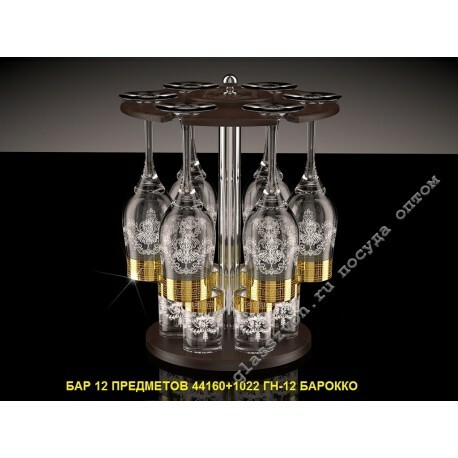 Bar 12 items goose-crystal - a profitable purchase and profitable business for each trader.